Marvel's Phase 3 is off to a great start with both Captain America: Civil War and Doctor Strange impressing fans in 2016. Not only were both movies received well by fans and critics, but they both did very well at the box office, which gives fans a lot of confidence as we move forward with the next wave of movies in the Marvel Cinematic Universe. Those movies are all leading up to one massive event that has been teased since the very first Avengers movie back in 2012, and that is Avengers: Infinity War. 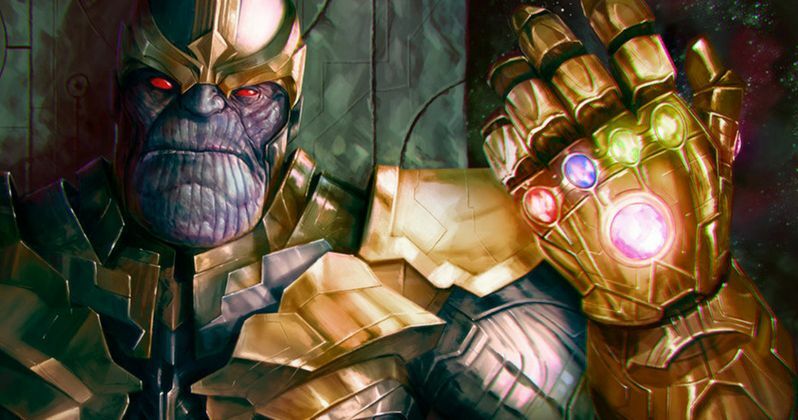 There is some good news for those who want to see Thanos finally get some real screen time, because Avengers: Infinity War and the Untitled Avengers sequel are set to start filming this week. The news comes courtesy of Collider's editor-in-chief Steve Weintraub. He is currently in attendance at the Sundance Film Festival and several members of the MCU are there as well, such as Dave Bautista, Elizabeth Olsen and Jeremy Renner. Since Steve Weintraub is conducting interviews at the festival, it stands to reason that is where he got this information, which he posted to his Twitter account. Here is what he had to say. "Awesome @marvel news: the next 2 AVENGERS sequels are going to start filming Monday!" There have been some conflicting reports as to when Avengers: Infinity War and Avengers 4, which will be shooting back-to-back, are going to start shooting. This tweet seems to clear things up, since Steve Weintraub tends to be a very reliable source of information. What isn't known is where shooting is going to start. There have been reports that the movies are going to shoot in parts of Scotland starting in late February, but some shooting is also said to be taking place at Pinewood Studios in Atlanta, a location very common for Marvel Studios productions. The only potential problem with that location at the moment is that Black Panther just started shooting there, so it seems like the Pinewood in Atlanta will be occupied with director Ryan Coogler's production. That doesn't mean Infinity War won't be shooting there this week, it just isn't clear right now based on Steve Weintraub's report where shooting will be taking place initially. One of the main criticisms of the MCU to date is the lack of memorable villains. Save for Loki, the bad guys in most Marvel movies so far have been fairly forgettable one-offs. However, that will probably change with Avengers: Infinity War. Going back to The Avengers back in 2012, Thanos was first introduced in a brief but incredibly effective post-credits scene. Since then, he has had very limited screen time in several other movies, but he has been built up as a big time baddie for Tony Stark and the gang to have to try and take down. When we last saw Thanos, he had finally got his hands on the Infinity Gauntlet and seemed like he was getting ready to gather up the Infinity Stones so he could bring some big time destruction upon the universe. We can only hope that the Mad Titan lives up to the hype come next year. Details on Avengers: Infinity War and the untitled Avengers 4 have been scarce, but we do know that Marvel will be assembling the largest cast ever for an MCU movie. It has also been reported that the movies will have a combined budget of nearly $500 million, which means they will be massive, expensive spectacles. The movies will be directed by Joe and Anthony Russo, who directed both Captain America: The Winter Solider and Captain America: Civil War. With shooting starting very, very soon, we should be learning more as set photos and things of that nature are likely to start pouring in over the coming days. Avengers: Infinity War is scheduled to hit theaters on May 4, 2018, with Avengers 4 set to come out a year later on May 3, 2019.